"Sand Diego wanted women for its war industries. Since the beginning of the war boom San Diego has cajoled, bribed and appealed publicly for women. 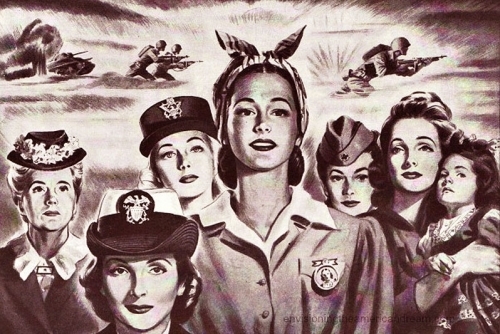 And San Diego got women, not only for the war industries, but for every other conceivable job. They became letter carriers, bus drivers, high-altitude window washers, milk deliverers, office workers. And not only that, because San Diego is also a naval base, because it is a busy seaport full of Army men preparing to go overseas, other women flocked to San Diego to be with their husbands. Southern California has always attracted women, where they seem to bloom and blossom in the highly publicized sunshine. But never have they come in such droves."